Shopping for a new home and purchasing one is a rewarding experience for many first-time buyers. Even if this is your second or third new home purchase because you are upgrading or downsizing, it never hurts to consult with a real estate attorney in West Palm Beach for a free consultation. Purchasing a home is a major investment, and you need to understand your legal obligations, as well as those of the seller. Seeking legal advice to get questions answered during your free initial consultation at Silver, Bass & Brams is a great resource to use and will help you make informed decisions, including when you should retain the services of a real estate lawyer. In addition, your lawyer can make recommendations about various inspections you will want to have performed prior to signing a form purchase agreement with the seller. These inspections are an essential part of buying a home because they will let you know what damages the home has and what repairs need to be made, and they allow you to negotiate on the sales price if you are willing to make some of the repairs yourself. Sometimes the buyer will pay to have these inspections performed, but that is not always the case. Even if they did have an inspection completed, some buyers prefer to have their own inspection done also, so they can compare the findings. Roofs do wear out over time and need to be replaced. The age of the roof on the inspection report is a good indication of how much useful life is left in the roof. On average, most shingled roofs are anticipated to last about 20 years.However, there are other factors that could shorten the life of the roof, such as hail damage, tropical storm damage, and hurricane damage. Additionally, the average lifespan will vary based on the type of roofing materials used. 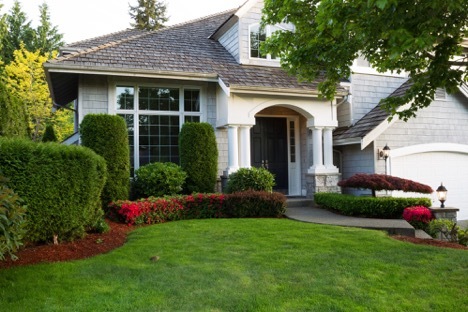 Roofs are one of the most under-maintained areas of the home. Most homeowners neglect their roofs until something goes wrong and there is damage, and it needs to be repaired or replaced. The cost of a new roof is often the biggest expense of maintaining your home, so you should not neglect having routine roof maintenance performed annually by a qualified roofer. Damage to the roof may seem minor to the homeowner but can be more severe. Unless you are a licensed roofer who has the training to recognize damage, for most of us doing a visual inspection of our roofs will not be adequate to tell us if there are any problems. Anytime there have been major storms, high winds, or other severe types of weather, it does not hurt to get a roof inspection performed by a licensed roofer. 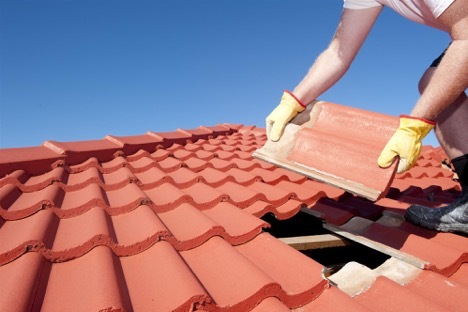 Most roofers will do these for a nominal fee that is not expensive, depending on where you live in Florida. 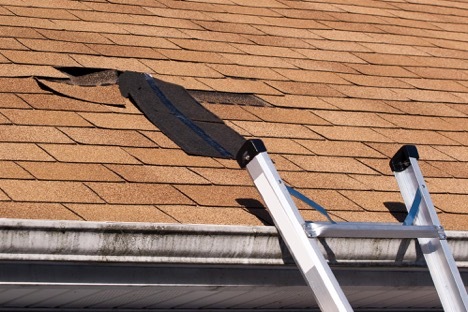 With hurricanes, tropical storms, and other high winds during thunderstorms, the roof damage that often occurs will consist of cracked and broken shingles, which may not even be evident without getting onto the roof. Homeowners’ insurance policies in Florida require different coverages for different types of damages. Whether you live in a condo, single-family dwelling, or mobile/modular home, there are different types of insurance coverages for your home. Since Florida is prone to hurricanes, you will need a separate policy for hurricane coverage, aside from your main insurance policy. Some buyers may try to hide signs of roof damage/leaks when selling their home that may be missed on the housing inspection. As unfortunate as it is, there are just some dishonest people out there who will attempt to cover up damages to their homes when they put them on the market, rather than make the repairs. 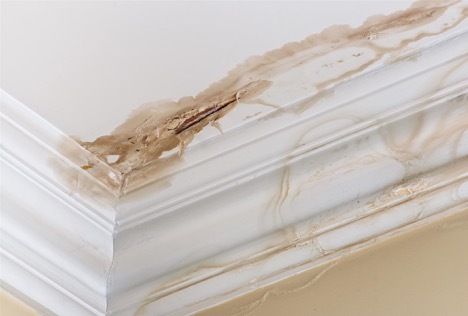 One common tactic used is to apply a fresh coat of paint on the walls and ceilings where there are signs of a leaky roof and water damage. Most buyers will assume this simply meant the room was recently painted as part of the staging process to sell the home, and not suspect there could be a hidden agenda, as well. What if I Notice Roof Leaks After Buying My House? 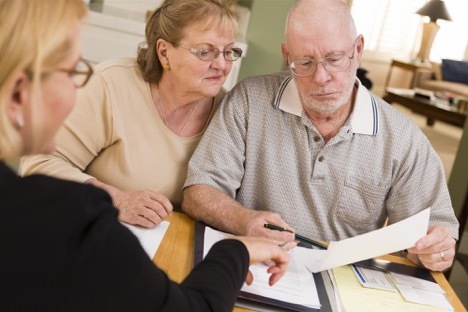 Before calling your insurance company, it is recommended to consult with a real estate attorney in West Palm Beach, Florida, here at Silver, Bass & Brams. We can review your purchase agreement and sales contract to determine if there are any clauses that would hold the seller or their insurance company responsible for the repairs, especially if it is evident they occurred prior to you closing on the home. What if I Live in a Condo and My HOA Is Not Fixing the Roof? Homeowners associations (HOAs) collect dues from condo owners for the upkeep and maintenance of different exterior aspects of the community. One such area is maintaining the roofs on the buildings. If you have reported a leaky roof to your condo board or condo maintenance and nothing is being done to fix the roof, you may be able to initiate a civil lawsuit against them. HOAs have a due diligence to perform repairs in a timely manner so that property owners do not incur additional losses of their own. If the interior of your condo gets damaged from your HOA’s condo water damage negligence, you may have additional legal rights, which you can learn more about with a free consultation at our real estate law firm. Can I Sue My Neighbor for Property Damage? In some cases, your neighbor could be held accountable for damage to your home. Suing someone for property damage requires establishing negligence and demonstrating their actions, or lack thereof, are what caused your home to get damaged. For instance, if they had a tree that was struck by lightning, failed to have it removed, and, eventually, it rotted and fell on your roof and damaged it, they and/or their insurance company could be responsible to pay for a new roof and make any needed repairs to your home. Yes, you can sue your homeowner’s insurance company under certain circumstances and situations. One of the more common ones is when they undervalue the damage to your home and want to offer a settlement for far less than you could be entitled to receive. To illustrate, consider you had major roof damage from a strong tropical storm. Your insurance company sends out their own insurance adjuster, who is one of their employees, to value the damages. Adjusters that work for insurance companies can be somewhat biased because their objective is to help their employer make money, not pay it out in property damage claims. Their adjuster may look at the damage and report back that there were only minor damages, so, instead of authorizing payment for a brand new roof, the adjuster will say the existing roof can be repaired. However, you disagree with this because you know you need a new roof. This is when you would want to seek a real estate lawyer’s advice. At this point, your lawyer from Silver, Bass & Brams will come to your home to see the damage for themselves first-hand. They will also refer you to a private adjuster, or help you find your own if needed, to review the findings of your insurance company’s adjuster. At this point, your lawyer would then contact your insurance company to attempt to negotiate a different settlement amount. If unsuccessful, then legal proceedings would be initiated for suing your homeowner’s insurance company for negligence. What Other Types of Insurance Claims Can I Get Help With? If you are a homeowner in the West Palm Beach, FL area with damages to your home and need help deciding what to do about how to file a claim with your insurance company and whether you have grounds for a personal property damage lawsuit, please feel free to contact Silver, Bass, & Brams at 561-659-0551 today to arrange a free consultation to get legal advice to help you make informed decisions.